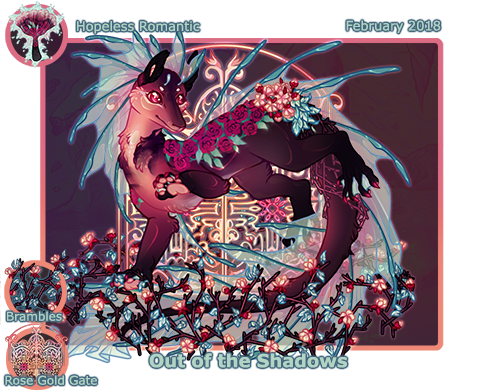 February’s OotS is the Hopeless Romantic, along with their Brambles and Rose Gold Gate! This month’s coat was created by King, and the items were created by Myla. You may purchase this set in the Out of the Shadows shop through the end of the month! January’s Creative Collective has drawn to a close! Thank you to everyone who posted a submission, engaged in a roleplay, or offered some feedback this past month. The raffle has been drawn and a new prompt has been posted! Additionally, a new item has been added to the Bag of Wonders! The Lotus Shield was created by priz and is sturdy enough to protect even the squishiest of Mycenians from danger! After much hard work from glitch, Myla, and all of our closed beta testers, the open beta of our new Adventure system is just around the corner! Open beta will begin on February 10th, with more information becoming available soon. 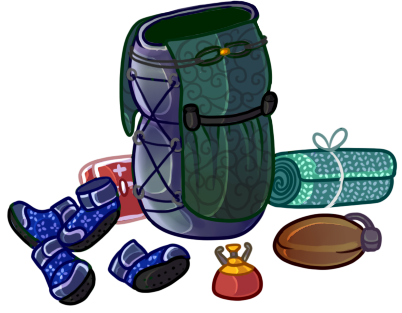 Start brushing off your adventuring gear and gathering up supplies! Our Winter Watch event is currently ongoing until the end of the day on February 3rd! Help some of the Cave’s most prominent citizens (and one strange newcomer) with a few little tasks and earn yourself a Windchill! More information can be found in the main event thread. Peent will be returning to the Cave this year with her usual supply of the cute, pink, and saccharine. Show that special someone you really care this Valentine’s Day with a purchase from her limited edition shop — or, alternatively, just show yourself some love by getting a romantic new makeover! Peent is currently making final preparations for her grand opening on February 14th! 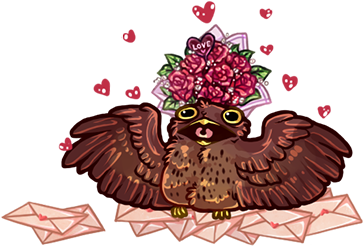 edit: Crow Will we be having a valentine’s day sprout raffle this year? Yes, we will be having another sprout raffle this year! :) More details on that will come during the Valentine’s day post when Peent’s shop opens up! Are the flowers on the monthly’s back toggleable? If you’re referring to the bundle of flowers sitting by the kelph’s tail, those are actually a part of the Brambles item, and they are toggleable. The actual flower markings running along the kelph’s back are a part of the coat itself and not toggleable. New Item Added to the Bag of Wonders!